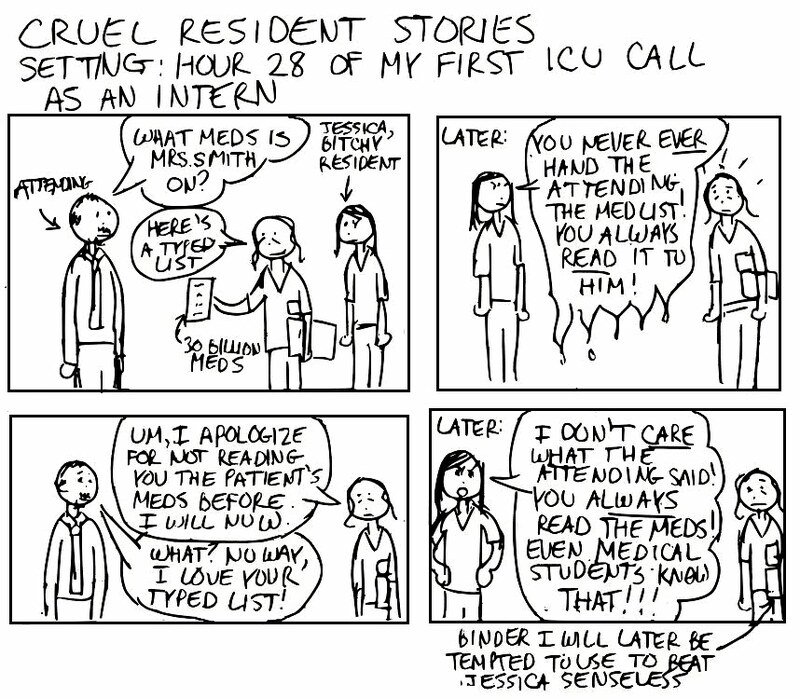 Amazing you didn't quit medicine with an introduction like Jessica. I assume someone else finally snapped and took out a contract on her by now. I think she targeted me especially, more than most other interns. I mean, a lot of people had a problem with her, but I think every intern had ONE resident that they especially meshed horribly with and she was mine. 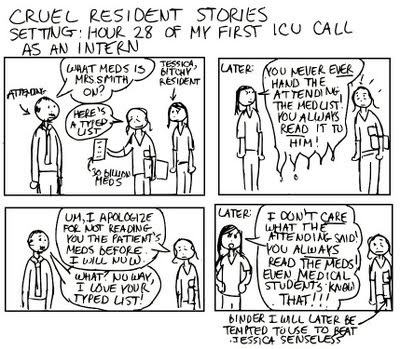 For example, when I came on an ICU rotation with her (I was only with her for a week), she immediately started screaming at me that the note templates I used were all terrible because they had outdated information. But those had just been handed to me by the last intern on the service, who actually said she got along fine with Jessica. So she somehow chose to yell at ME for someone else's mistake and let them off the hook. So...did you read the list or hand the typed list from that point forward?